According to their advertisements, you need to eat 10 bowls of your cereal to equal the nutritional value in just one bowl of what cereal? 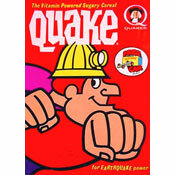 This cereal is described on the front of the box as a "sweetened rice cereal" that is "gluten free" with "no high fructose corn syrup" and "no artificial flavors, colors or preservatives." The cereal is a combination of blueberry and sugar speckled Chex pieces and what appears to be traditional Rice Chex pieces with no coating. 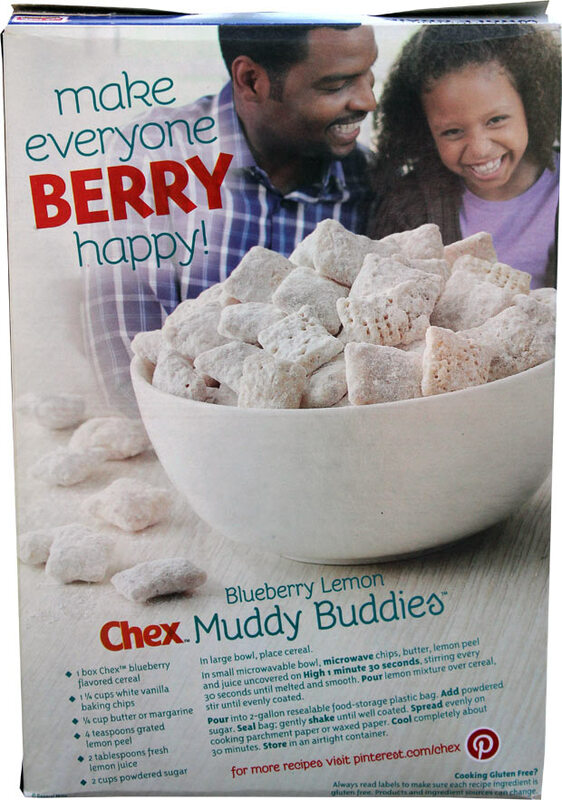 The back of the the introductory box featured a recipe for Blueberry Lemon Chex Muddy Buddies with the heading "make everybody berry happy!" The ingredients listed in May of 2017 were whole grain rice, rice, sugar, canola oil, blueberry powder, salt, molasses, natural flavor, Vitamin E and a smattering of other vitamins and minerals. 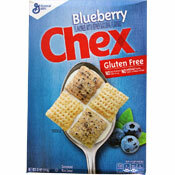 Blueberry Chex Cereal has been reviewed on MrBreakfast.com. What do you think of Blueberry Chex? 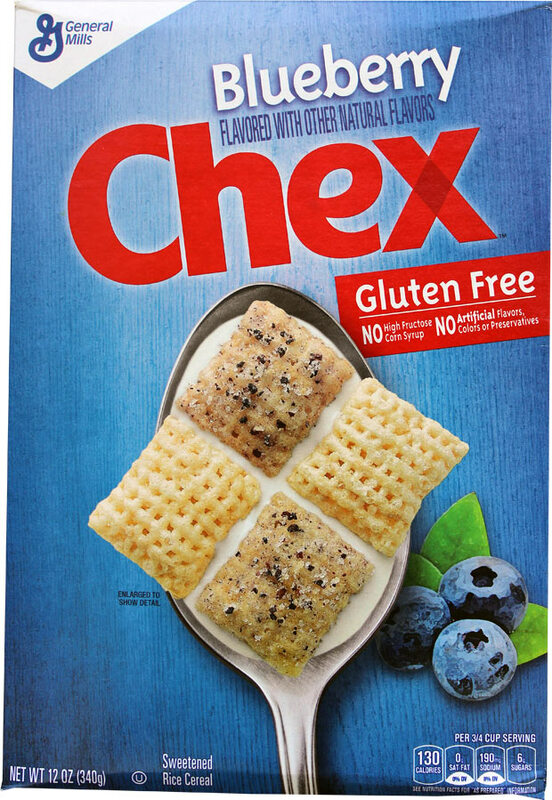 Is this blueberry Chex available in Canada yet? YUMMMMMMMMM. Just wish I could trust it to be dairy and egg free so I could share the yummy goodness with my allergic son.